I feel incredibly worn out…already. I’m exhausted. 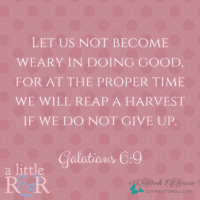 The thought of getting the kids going on school work is overwhelming and daunting. And the school year hasn’t even started for us yet! Isn’t that NUTS? And I am the professional teacher – yeah, the one with the university degree. AND…I’ve been doing this for 11 years already! Then I was hit with a revelation as I was flipping through the recent Wal-Mart flyer. Although I may be feeling wilted and weary, I am still so thankful that my kids are home with me. This is the truth I need to hold on to – the truth I want to share with you and encourage you with. 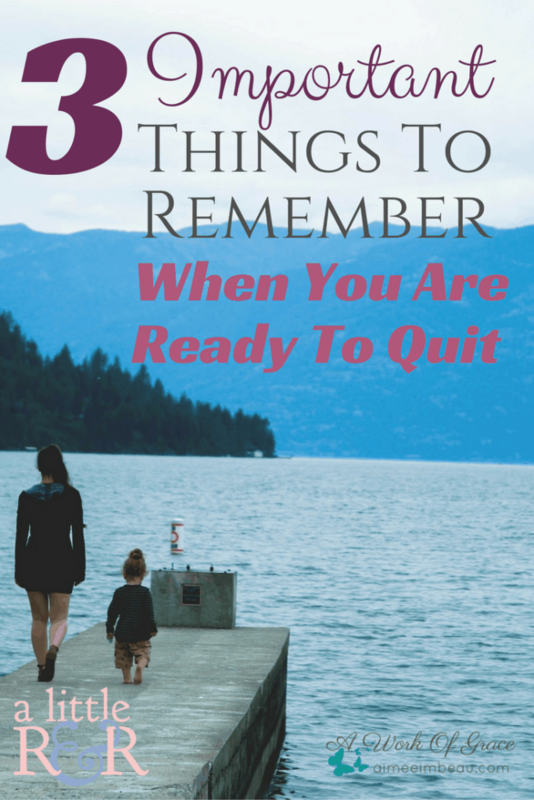 3 Important Things To Remember When You Are Ready To Quit. I had to explain to him that our daughter loves to play with PlayDough and this massive box of various colors would make her day. What a wonderful ‘Back-To-Homeschool’ gift, hey? This explanation caused a good discussion between my husband and me. And I realized that the fact that I am tired and weary doesn’t even matter compared to the truth we comprehended in that moment. You see, our youngest daughter is 10-years old. And she still loves to create with PlayDough. Most kids her age have very little interest in something like PlayDough. It would be ‘too babyish’ in their eyes. And, yet, our daughter either doesn’t know this or she just doesn’t care if she does. My husband and I discussed how she has been able to keep so much of her childhood innocence. And in this day and age, that is quite a feat! Seriously, the worst bad word she knows at 10-years old is ‘stupid’. If you asked a public-schooled kid what the worst bad word that they knew was, I am sure we’d be embarrassed at hearing it. At home, she can just be a kid and enjoy her childhood. She doesn’t know any different, even with older siblings. She is having a delightful childhood – the way it should be. This truth brings me confidence and joy in our family’s decision to home educate. My oldest daughter, Sarah, went to teen camp this summer. Her friend had not been able to make it this year, so she was going ‘on her own’. She would not know anyone in her cabin. At first, she was somewhat unsure about this arrangement. However, a week before she was scheduled to leave, she came to me with the most amazing idea. She told me how she remembered a girl at camp last year who had scars on her arms from cutting. The thought that this girl was in so much emotional pain bothered Sarah so much that she hasn’t forgotten her. This prompted Sarah to begin asking God to show her the opportunities to show His love to the hurting girls at camp while she was there. When Sarah told me about her prayer, I was in awe of her heart and her request. She was not going to camp for herself. It wasn’t about her. She was going so that she could minister to someone else. When I am drained and worn-out just by the idea of starting school again, I think about this occasion and I know that my chief purpose in home educating my kids is so they can share the love of Christ with those who desperately need it. And the fruit is abundant. I was done with seeing my son wear jeans that were a couple of inches above his ankles. I forced him to head to the mall with me to find new jeans that didn’t make him look like he was waiting for a flood. This kid is 5’11” at 12-years old! We found a couple of pairs at on store and were heading off to another when I started chatting with an acquaintance I ran into. About 10 minutes passed by and I heard my son stumbling around behind me and people gasping and asking if he was ‘ok’. I turned around to see him on the floor. He had passed out. I helped him up and when he felt better, we went home. I booked a doctor appointment right away. We had blood work done and were called back in only to get more blood work done. I really don’t think it is anything serious. My son has grown so much in the last few months and I think it is just taking time for his entire body to adjust. He is tired and needs a lot of sleep right now. 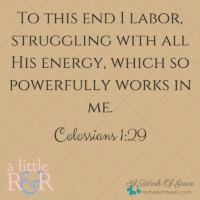 In the moments I am pondering my own fatigue and exhaustion, I can reflect on the needs of my son and know that I can give him the rest and care he needs right now and not worry about missing assignments or skipped lessons. We have the opportunity to go at our own pace and pick up where we left off if necessary. This not only cares for my son’s physical and health needs, but also for his heart. 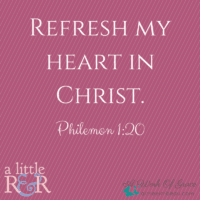 I hope these 3 truths encourage your weary heart. I pray that you will be able to find your own truths to hold on to and remember during those moments when you are ready to quit. Write these truths down and place them in your homeschool room/area. They will serve as a good reminder for those tough days. Share your own moments of truth below. For additional Biblical parenting instruction, you may find “Parenting For God’s Glory”, a self-paced eCourse, beneficial. There will be a FREE webinar on Tuesday, September 27 at 1pm PST. I will be sharing about the best parenting advice I’ve ever received. 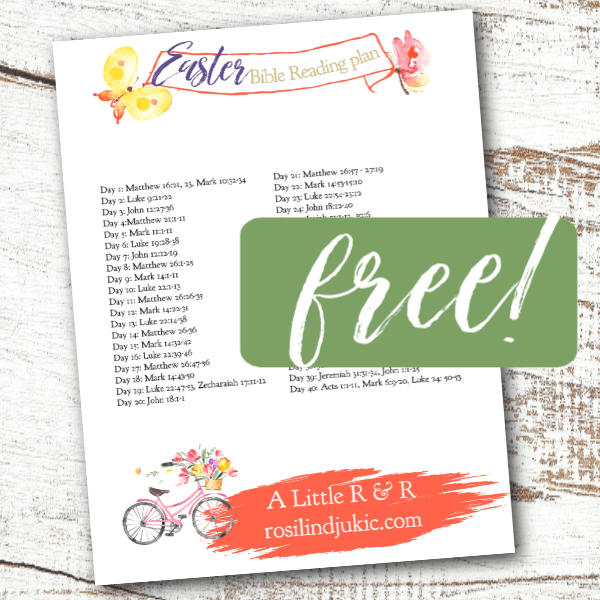 Registrants will be given a special promotional price for the eCourse! Wow! 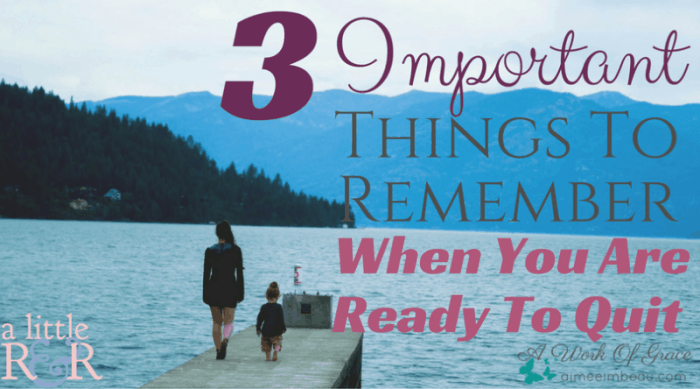 I love your three things – this is a great reminder for WHY we homeschool. It is so easy to get into a rut if or lose our passion when we focus on the “what” we’re doing as moms, but if we keep our focus on the “why”, the calling God gave us to homeschool, it changes our whole perspective! I was especially touched by your first truth – I am reminded to be more intentional about training up my son in the Lord’s ways in and through our homeschooling. Hi Rosilind and Aimee. Even though I don’t homeschool, I can relate to looking on the bright side of parenting. We can all look for positive things to motivate us to keep going when life gets tough. And as followers of Christ, we don’t have to look very far when we consider how good He is to us!